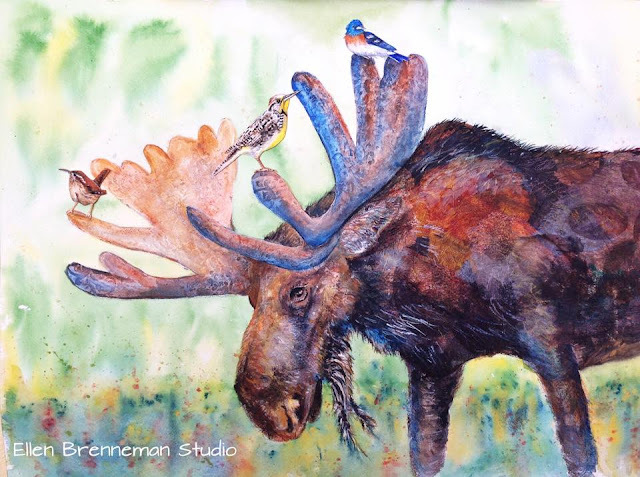 A trip to Glacier National Park inspired this incredible painting by my dear friend, Ellen Brenneman. Regardless of how you feel about the management of our National Parks the fact that they even exist should give those of us who love the wilderness and support conservation at least a little hope. 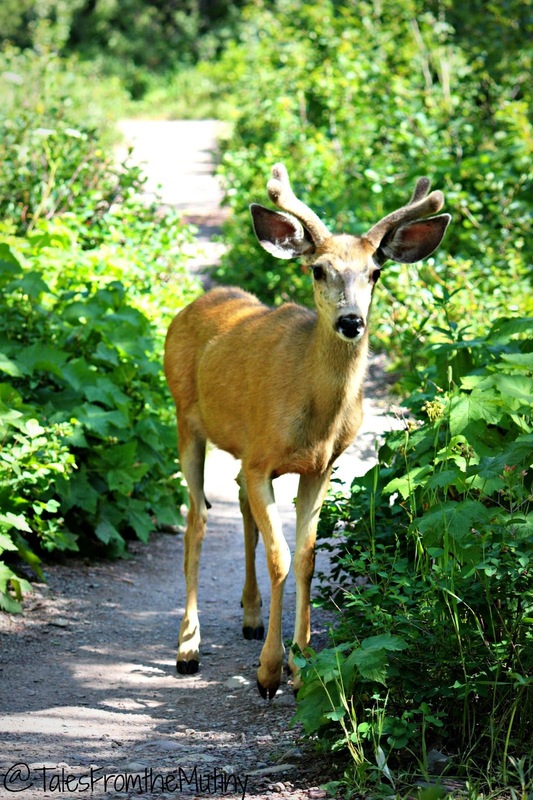 I get it, it’s frustrating to go visit a park only to find you can’t take your dog with you on hike (Nellie’s not too happy about that) but Mr. & Mrs. Tourist-For-a-Day can bring their children who, like quite a few adult visitors, have no concept of sacred spaces, leave-no-trace or “Don’t Feed the Animals”. (You can’t blame the kids though.) And yea, they really screwed the pooch (pun not intended) when they paved the way to so many of the main features in places like Arches National Park that you don’t even have to exit your vehicle to snap photos these amazing formations. Still, I am in love with our National Parks and visiting them has done more for my appreciation and defense of our public lands then I ever imagined. 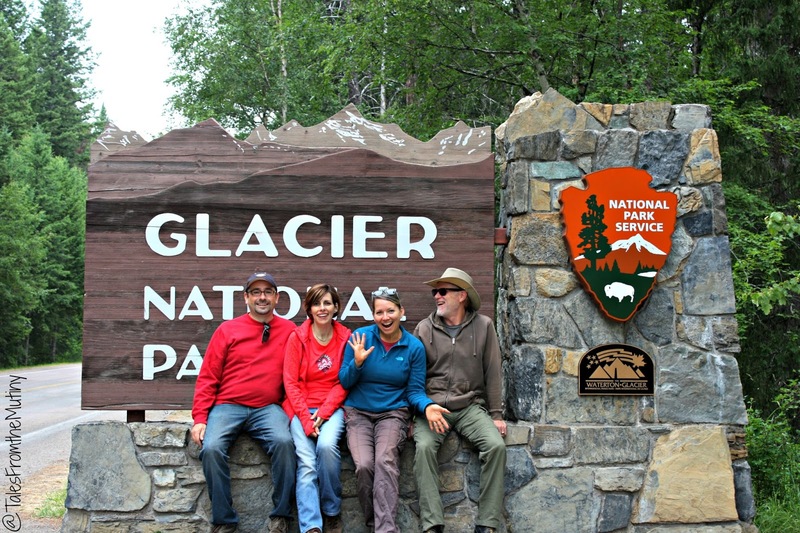 So when my sister-from-another-mister, Ellen, and her husband, Craig, wanted to meet at Glacier National Park during their summer vacation we got out the map and planned pretty much our whole year around this get-together (they’re worth it). Craig, Ellen, me and Clark. Since Ellen and Craig aren’t fulltimers (yet) they decided to rent an RV and make the really, really looonnnggg drive from South Bend, Indiana to West Glacier in 3 days. Crazy, right?! 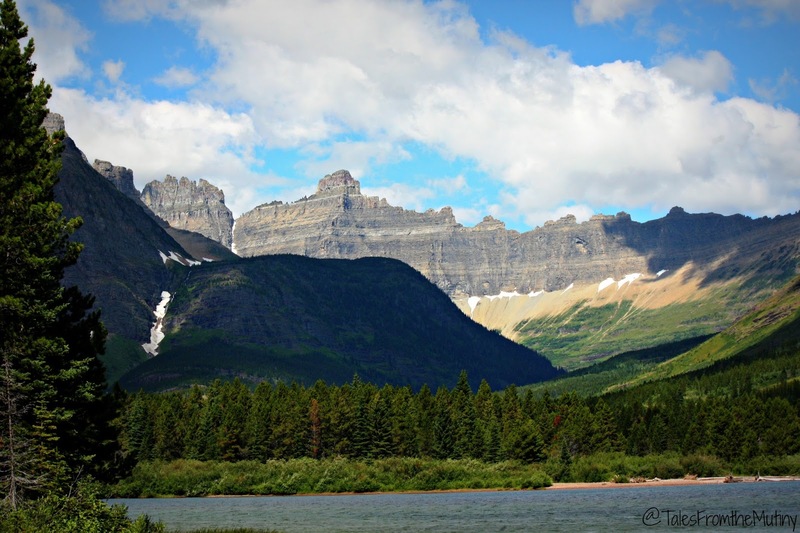 But Craig was determined and Glacier NP was all his idea so he set his goal and would not be swayed. 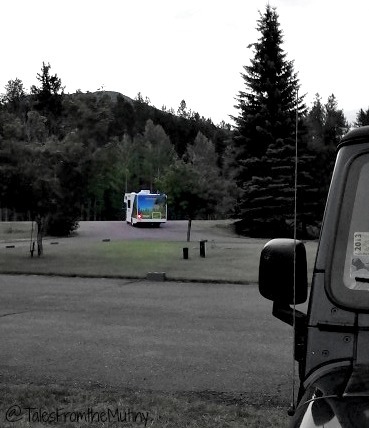 Being in a rental posed a few challenges…like limited fresh water and small holding tanks so we decided to stay at a private RV park, San-Suz-Ed Montana RV Park, that could provide full-hookups. This was prior to our solar install so it worked well for us too. Plus they have a little cafe on site where you can get breakfast, coffee and pie while pouring over area maps and getting tips for the best hiking in the park. We also were fortunate to meet up with Deas and Jennifer Nealy of Nealy’s on Wheels (check out their blog post on our gathering for additional photos). They had been camping inside the park for a couple of weeks and were kind enough to join us for a week at San-Suz-Ed. They’re input was indispensable in our adventures since they’d already been at the park for a while. It’s huge…seriously. It’s over 1 million acres and has more than 130 named lakes. The Going-to-the-Sun-Road is 53 miles long and takes about 2.5 hours to drive~one way. Vehicles over 22 feet are prohibited due to the narrow, winding roadway. It’s home to almost all of it’s original native plant and animal species (although some are now rare and/or endangered). Hundreds of glaciers carved the valleys and mountains that make up the park but as of 2010 only 25 still exist. Most are inaccessible. There are 200 waterfalls in the park (unless it’s been dry). There are over 700 miles of hiking trails. The flyer we received at the visitors center listed 68 separate hikes. 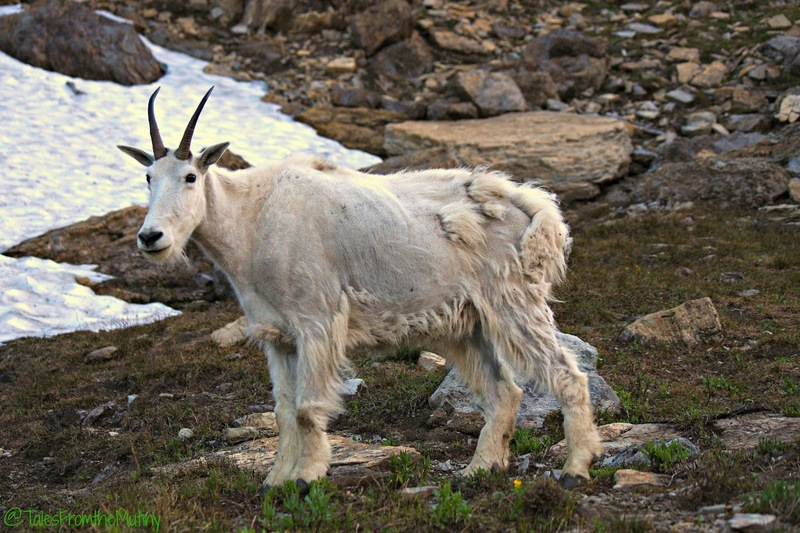 They get a lot of snow…and spring as most of us know it often doesn’t occur until mid-July. Quite a few visitors have left a bit disappointed when their July 4th weekend adventure becomes a lesson in driving in the snow. Be sure to check the park’s website for information on when they expect Going-to-the-Sun-Road to open. The year we went it wasn’t open until around July 15th. 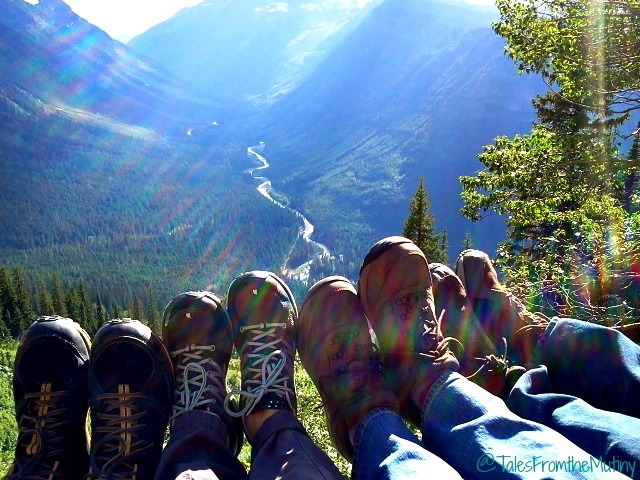 The infamous foot picture at one of the Going to the Sun Road overlooks. 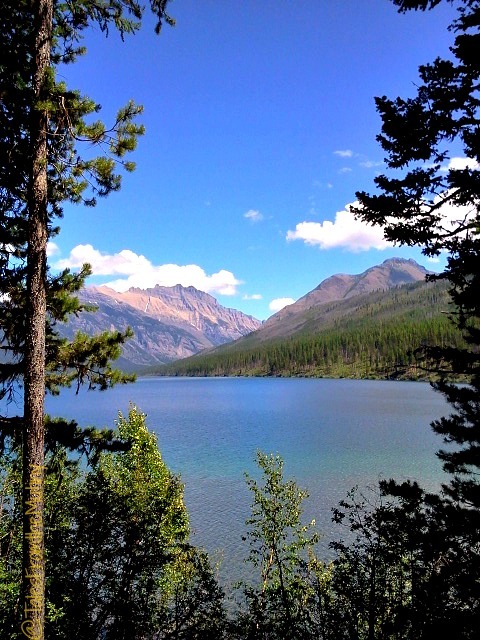 View from our hike at Bowman Lake in West Glacier NP. Making our way to Beaver Pond in the St. Mary area in East Glacier. That’s Ellen!! Fields of wildflowers welcomed us on the Beaver Pond Loop. 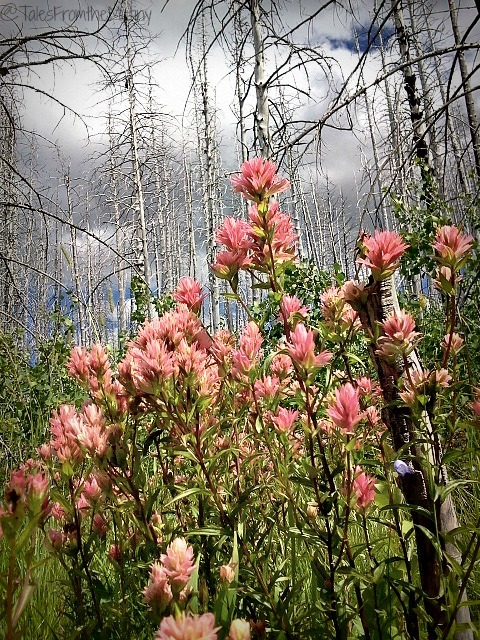 Wildflowers flourish in the area devastated by the Red Eagle Fire which burned more than 34,000 acres in Glacier National Park and neighboring Blackfeet Tribal Lands in 2006. The scorched trees still stand and when the wind blows they make music…it’s actually quite moving. The two mile (one way) hike to Avalanche Lake is one of the most popular hikes in the park since it’s relatively flat, easily accessed from Going to the Sun Road and really pretty. But even though it can be crowded I still think it’s worth it. 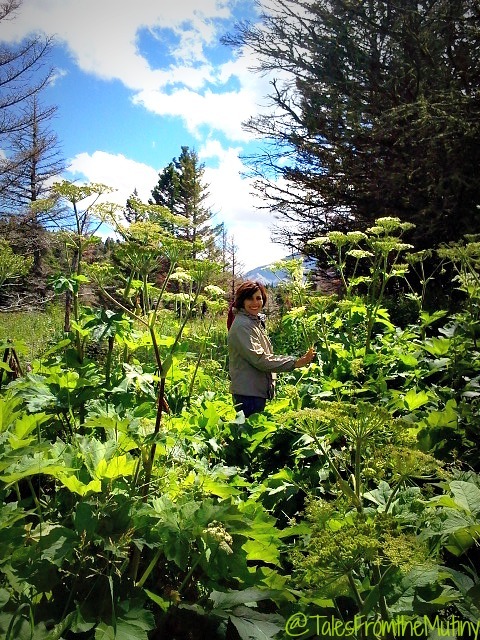 You can easily incorporate the Trail of the Cedars into this hike as well. Trail of the Cedars is wheelchair accessible too! 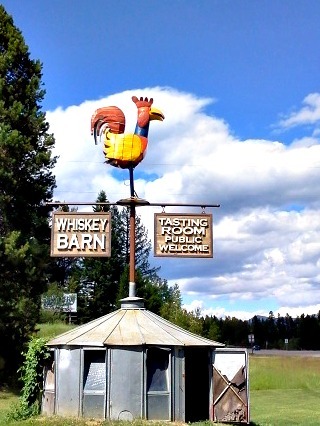 Right down the road from our RV park we found Glacier Distilling Company (West Glacier). 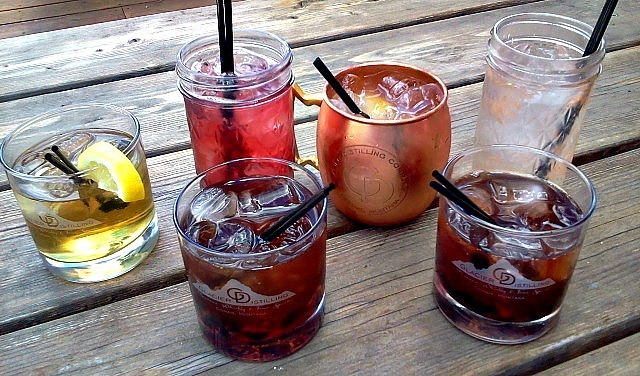 So we sampled several of their fancy libations…as a reward for our exhausting hikes, of course. 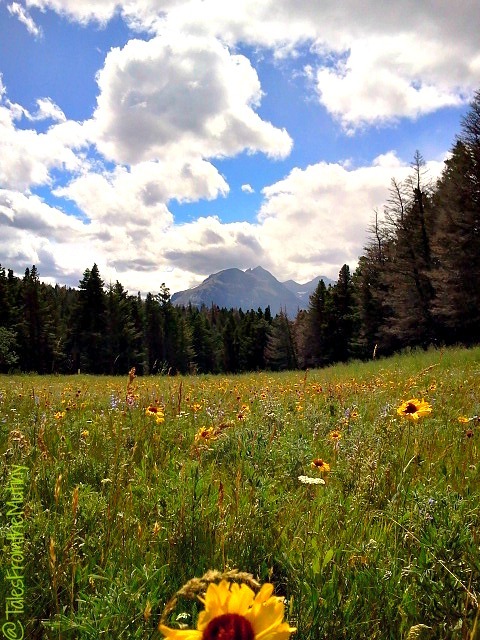 More wildflowers from the Red Eagle Fire area. 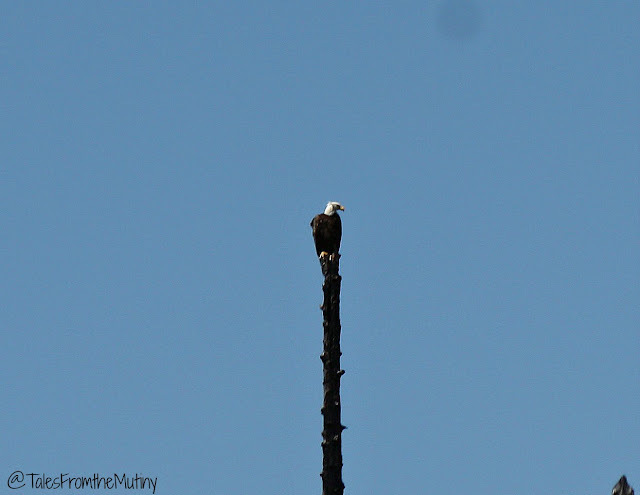 Bald Eagle near Polebridge (West Glacier). 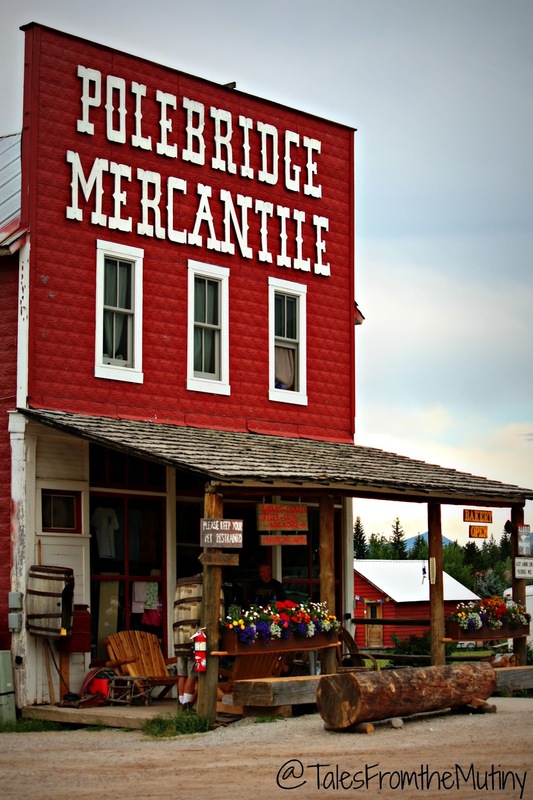 A *must-stop* in West Glacier is Polebridge, an unincorporated community that skirts along the National Park border. As a matter of fact you pretty much have to drive through it to get to Bowman and Kintla Lakes. Be sure to stop in the bakery and try their huckleberry ANYthing. Next door is Northern Lights Saloon. Both establishments are powered by generators and often host live music and other events. 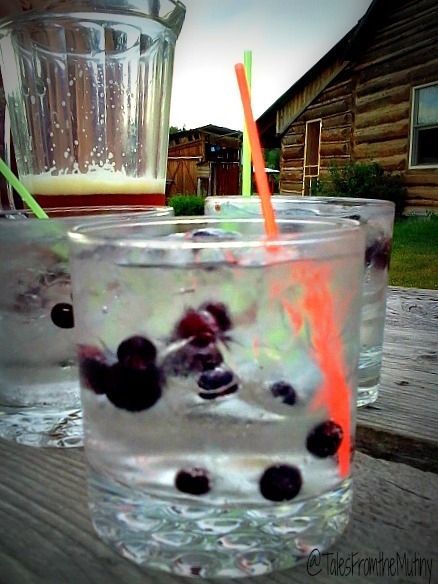 Huckleberry Coolers at Northern Lights Saloon. The Saloon is also a cafe which serves fantastic food including vegetarian and vegan options. 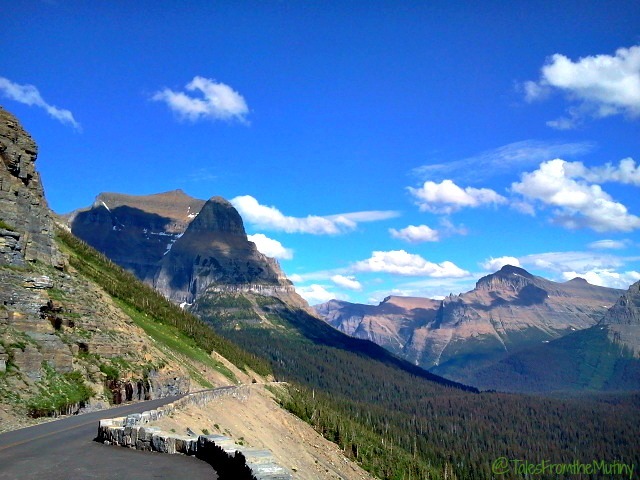 View from Going the the Sun Road. 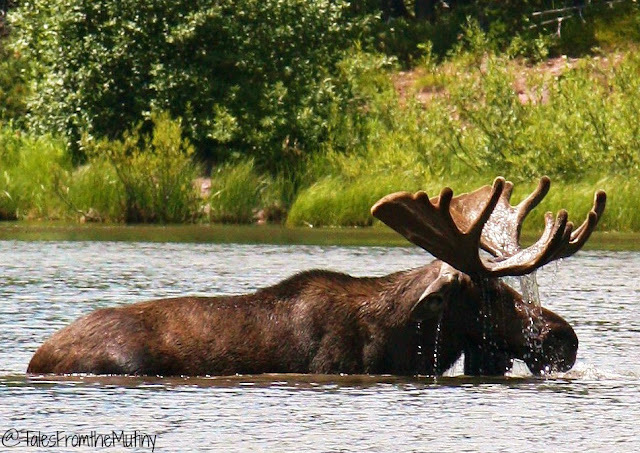 One of the Hidden Ponds along Swiftcurrent Trail in Many Glacier (East Glacier) is a feeding ground for moose. 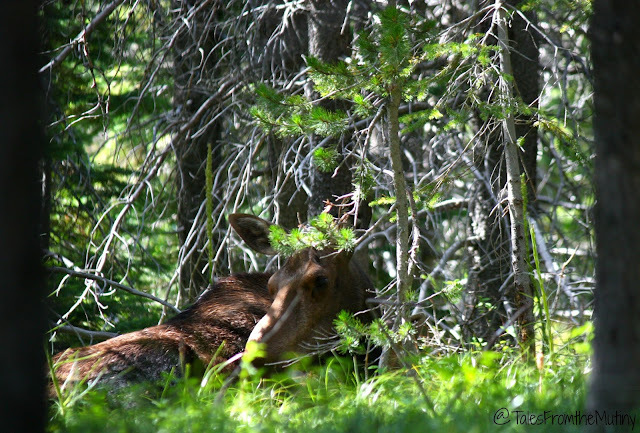 This female moose was resting right along a trail…her calf is on the other side of her. We would never have approached her or gotten this close had we known she was there. After snapping a quick photo we notified a park ranger due to the high volume of traffic on this trail. Moose are often more dangerous than bears…especially a mama moose. As if our cow moose encounter wasn’t “close enough” this guy (or girl) met us a few minutes later on the trail. 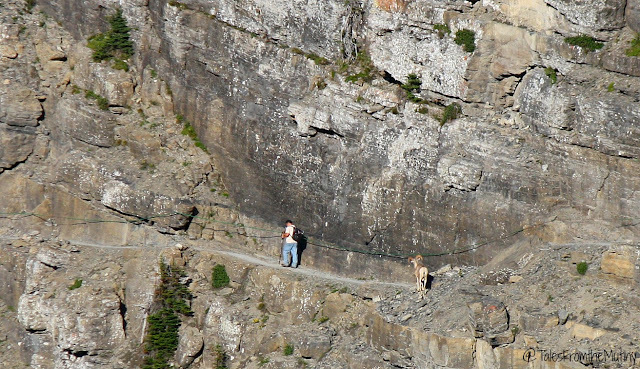 This hiker, however, DID get his close-up on the Highline Trail. But don’t fret, the mountain goats will happily pose for photos near Logan Pass which is about halfway along the Going to the Sun Road. Hiking Grinnel Lake in Many Glacier (East Glacier). 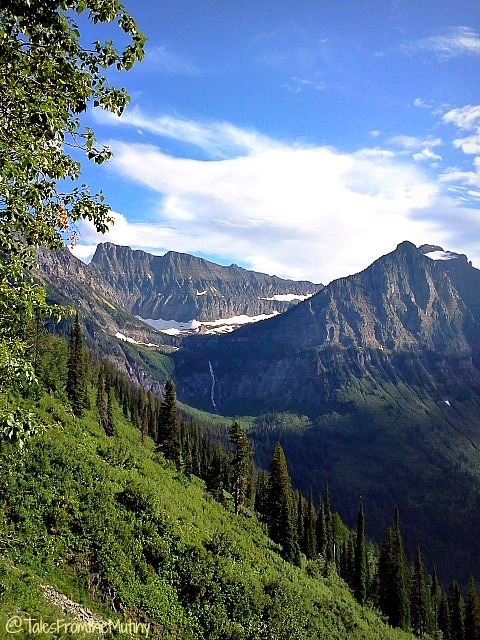 Glacier is pretty high up there on our favorites list beating out both Yellowstone and Grand Tetons. Of course, we did have excellent company but still…this place is beyond my abilities to describe or even capture on “film”. Ellen, who happens to not only be one of my dearest and best friends ever, is also a fine artist. Her time in Glacier National Park brought her much inspiration and connection to nature. 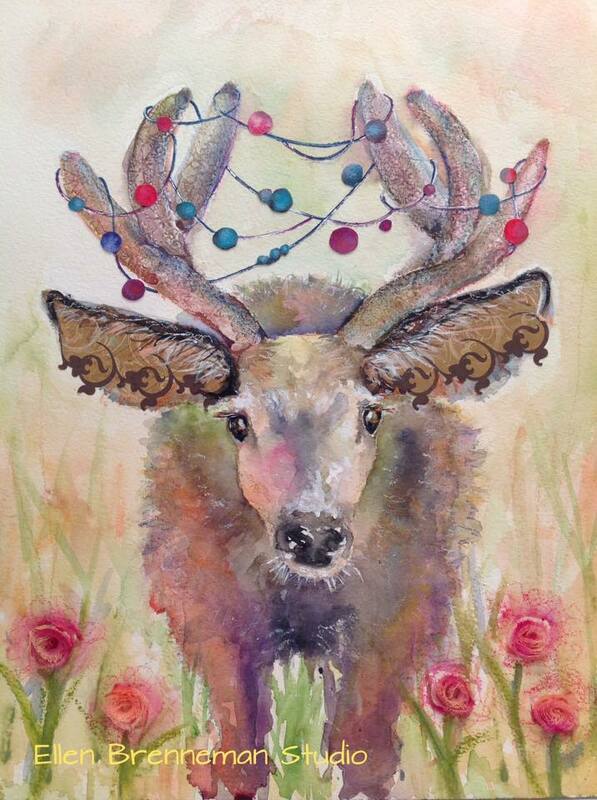 Check out her inspiring collection at her Etsy shop here. 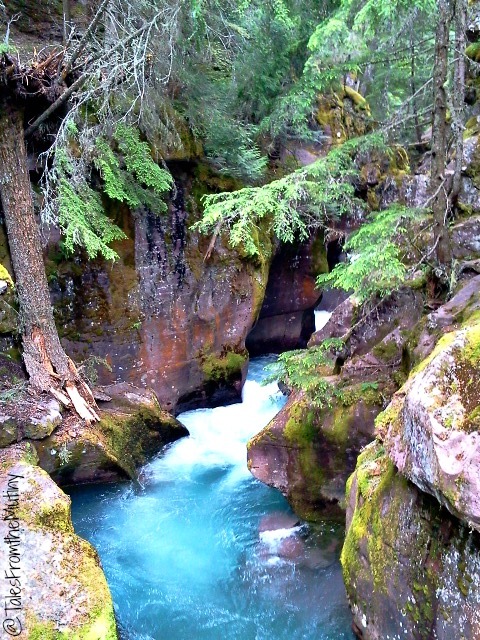 And view her blog post at Fat Girl Wearing Thin with some more photos of Glacier. Ellen’s mixed media Mule Deer was inspired by our encounter with the deer on the trail (see photo above). Check out her Etsy store for prints as well as her stunning series of Spirit Animals. Bitter sweet. Spending our last night together watching the sun disappear. If you’re tight on time I would recommend choosing East Glacier to get more bang for your buck. It showcases the mountains and glacier carved lakes more so than West Glacier. There also seems a higher likelihood of wildlife spotting. If you can swing it, it’s well worth spending at least a week on both sides of the park. West Glacier is more remote and far less crowded making the hikes more peaceful and less rushed feeling. West Glacier also allows for access to Polebridge which was definitely a highlight of our trip. Although we didn’t spot any wildlife on the Beaver Pond Loop it was still my favorite. 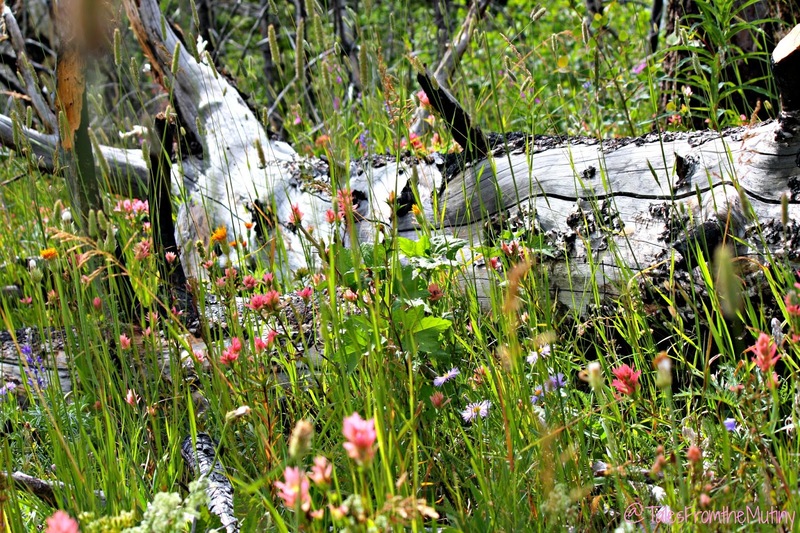 The combination of wildflowers in bloom and wind creating a song from the ghosts of the trees burned in the 2006 fire was something I’ll never forget. 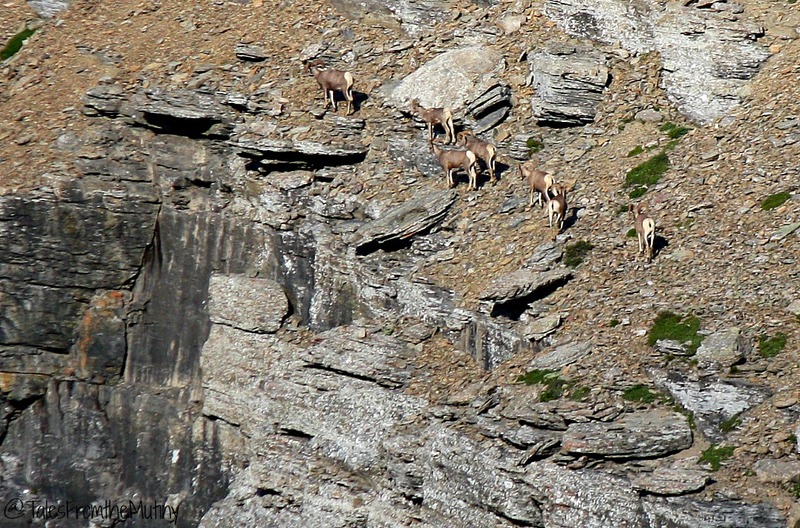 It’s also a relatively easy hike making it accessible to a wide range of abilities and ages. You gotta drive the Going-to-the-Sun-Road…or at least take the shuttle. Which reminds me…the shuttle is a great way to get around and/or utilize if you’re hiking (park your car at one point, hike to another and then take the shuttle back to your car…just check the schedule and locations of the stops first). Definitely read up on some other blogs, like Nealy’s On Wheels multi-part posts, about camping inside the park boundaries if you can comfortably boondock. We’re all for being in close proximity to all the things. There are also so many hiking and backcountry opportunities that it’d take several seasons to even begin to make a dent. 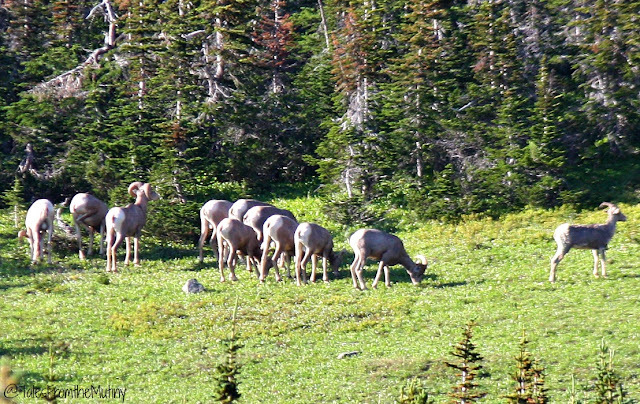 The Rangers are your greatest asset for information on trail conditions and bear sightings. Take advantage of their knowledge. Every year almost every National Park meets with some sort of fatality but it’s more often due to human error (falling, drowning, exposure to the elements) rather than wildlife attacks. Glacier is no exception. In the week we were there (give or take a day or two) 2 people died…both near or on Going-To-the-Sun-Road. One was a woman who tried to get a better photograph and slipped into the river. She was swept away and drowned, her body recovered a few hundred feet down river. The other was a boy who, upon getting out of the vehicle at one of the many pullouts along the road, went to jump up on the low stone guard rail, tripped and fell to his death. Horrific accounts but also important reminders to pay attention and respect boundaries. That’s my two cents. Be safe everyone!! The National Parks: America’s Best Idea A Film By Ken Burns. This 6-episode series is available through PBS and Amazon. (Not a book, I know). Desert Solitaire by Edward Abbey. Recounts his time as a Park Ranger in Arches National Park. The Last Season by Eric Blehm. The story of Sequoia National Park backcountry ranger Randy Morganson. A Sand County Almanac by Aldo Leopold. 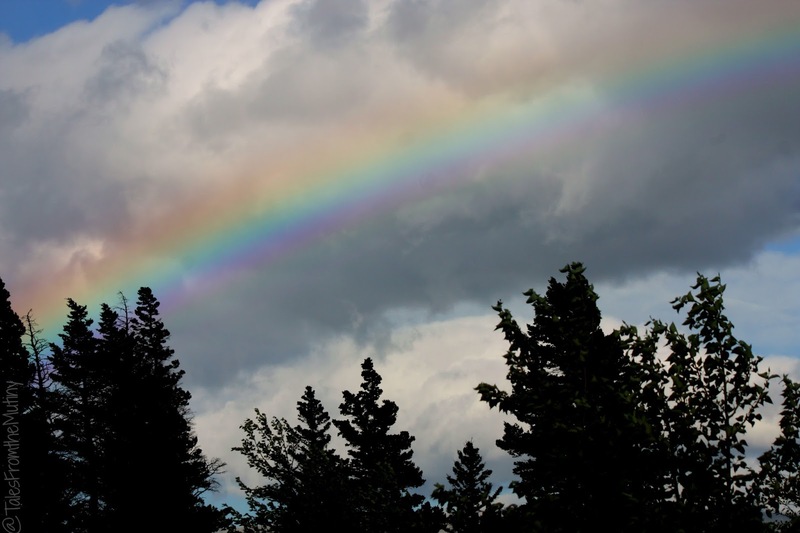 The Gila Wilderness in New Mexico was the world’s first designated wilderness area (Jun 3, 1024) and was created as a result of Leopold’s environmental efforts. It’s now part of the Gila National Forest. And, of course, the writings of Henry David Thoreau, John Wesley Powell, John Muir, Rachel Carson and Gifford Pinchot. If you have any book or movie/documentary suggestions leave them in the comments…I’m always looking for recommendations. *This blog post contains Amazon affiliate links. Should you use a link to make a purchase on amazon.com we earn a small advertising fee at no cost to you. See the bottom of this website for more information. Though I'd been to Yellowstone in HS with my family, I'd not really explored a National Park until just last week when we were in Acadia. I feel much the same as you do – so glad some people were thoughtful enough way back when to set aside these millions of acres across our country to preserve their beauty. But frustrated at how changes in the name of "progress" are made that seem to detract from the experience. 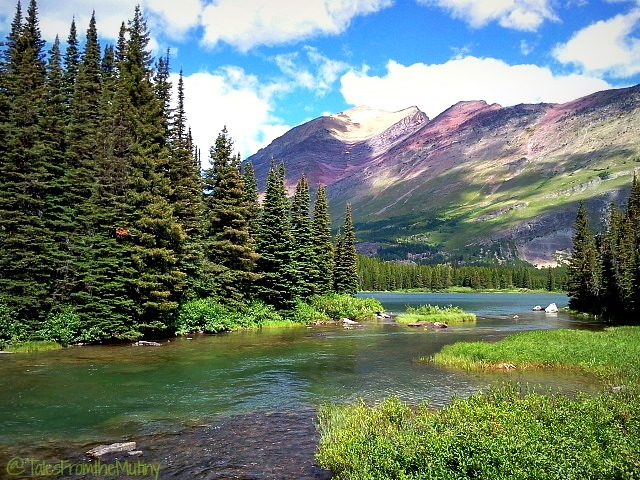 We are hoping to be up near Glacier next summer, so I am saving your recommendations for our upcoming trip. It all looks wonderful! Great blog….ready to push Yellowstone closer to the top of our "bucket list"…loved your pics…colors just jumped out at me. …what type of camera did you use? 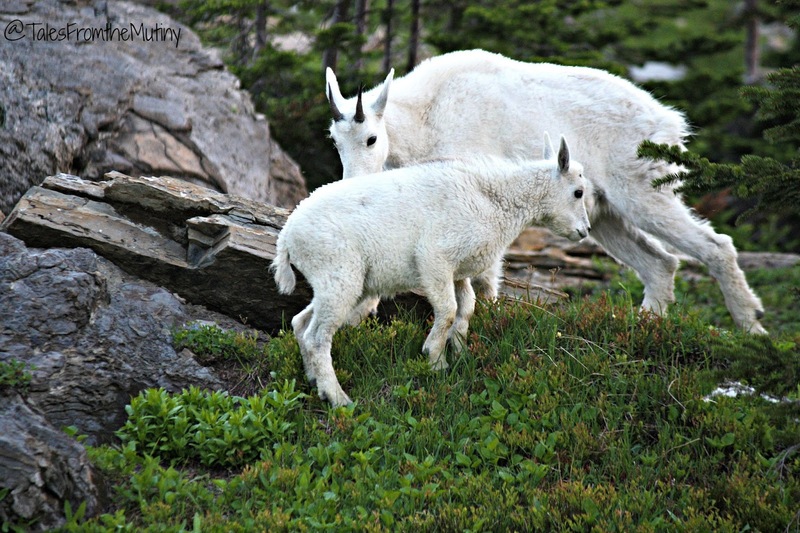 Thanks for reminding us of these wonders that are so important to see and preserve. I couldn't agree more with your opening lines. Our parks system and especially the BLM needs some serious revamping. AND, as co-owners of these public lands, it really appears that many of us have forgot how to be responsible. The amount of trash left on these lands for *someone else* to pick up is astonishing. Thanks for stopping by and leaving a comment. Yellowstone is spectacular for sure…just very crowded unlike Glacier (at least when we were there). You have to have a lot of patients when getting around Yellowstone but once you get away from the crowds there is nothing like it. I love all of our NP so you really can't go wrong visiting any of them (although timing can make a difference). I use an old Cannon Rebel XSi and, at the time, my trusty but very old Samsung Galaxy (possibly the first edition?). I do very little editing in the free online editor called Picmonkey which is super basic and probably not very high quality (it seems to pix-elate some photos) but it's easy. I recently got a new-to-me camera, a mirrorless Cannon EOS M which I'm learning how to use and having fun with…and my new camera phone is a Samsung Galaxy S3…moving up!